- economical! using non-consumable materials till your child is at college-level spelling, with only a learning log needed per year for each student. Spell to Write and Read, a very user-friendly guide, is recommended by Classical Conversations in the parent resources. This method is endorsed by CC founder, Leigh Bortins. * a love of reading "living books"
This unique program starts with the student writing and spelling, and moves to reading. Based on solid physiological research and historical precedent, Spell to Write and Read will amaze you with its simplicity, conciseness, and completeness. This is a two-day, sixteen hour teacher-training, providing you with the tools and knowledge to implement the SWR/Spalding method with confidence and success, whether your students are beginning, elementary, or remedial. We will teach you to use phonics to teach spelling, writing and reading, place each child at their correct level by diagnostic tests, and adapt this method to the student's abilities. 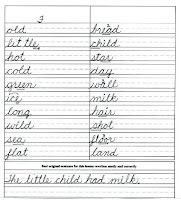 There will be hands-on work time, so you can learn how to teach each student as you build your Spelling Notebook. 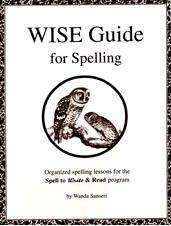 This class includes instruction based on Spell to Write and Read and Wise Guide. 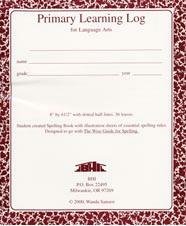 Handouts Provided: Each participant will receive a blank primary learning log (which we will use to start building the Teacher's Master Log in class), a regular and a red pencil, and class handouts. For information on SWR materials, SWR Materials. remedial students (any age) behind in reading or spelling. How to start SWR without a seminar! ** See link at the bottom of this page for seminar preparation, which will also be emailed to you if you register. There is also a link there on How to Start SWR without a seminar. Practical Homeschooling Readers' Choice: 1st place, spelling AND phonics!! An excellent diagramming site; diagrams the Declaration of Independence, Gettysburg Address, etc! SWR Plus! (SWR Intermediate) builds on the Basic Class, adding mid-level spelling and other reference pages. This is where we will discuss higher grammar, composition, literature, etc. This Intermediate class will sharpen your understanding of SWR from the Basic Class. All teachers will benefit, and especially those with students 2nd and above. PREREQUISITE: You must be an alumnus of the Basic SWR to attend this class, although you may attend all three days in this one week at a special Conference price. NOTE: See the bottom of this page for various free downloads. JOIN the SWR Support Group now! Get the SWR app for iphones! Get the SWR app for Androids! A time-proven method with over 50 years of success throughout the States! This intensive phonics course completely integrates penmanship and spelling, writing, reading with grammar and composition in the early grades, and is a complete spelling course for grades K-college level. "I loved your website. Especially helpful was the information about "The comparison between phony phonics, fickle phonics, and pokey phonics with true phonics." http://groups.yahoo.com/group/SpelltoWriteandRead/ - Join our SWR yahoo group for support, ideas, and answered questions!